This is a request to join in and celebrate the people who provide us with hours of entertainment! I was shocked to realize that there’s isn’t an International Authors’ Day that we can all celebrate to show our appreciation for the hours of hard work that authors put into their books… So I decided to do something about it! 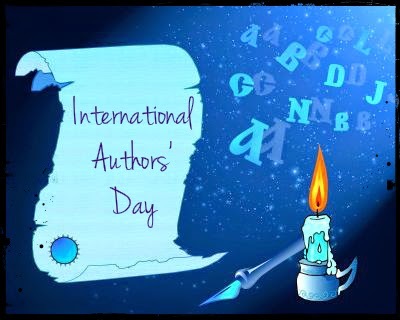 I am going to celebrate ‘International Authors’ Day’ on 18th July. Will you join me? I will be organizing a Blog hop that will go on from 14th to 18th July. Join in and write post on your favourite Books & Authors, or about how you got into reading, or why you love reading, or …. you get my drift. Let’s show these folks that we love and cherish them! If you have a Blog or Website where you can make a post then enter your details in the google form below to Sign Up for this Blog Hop!